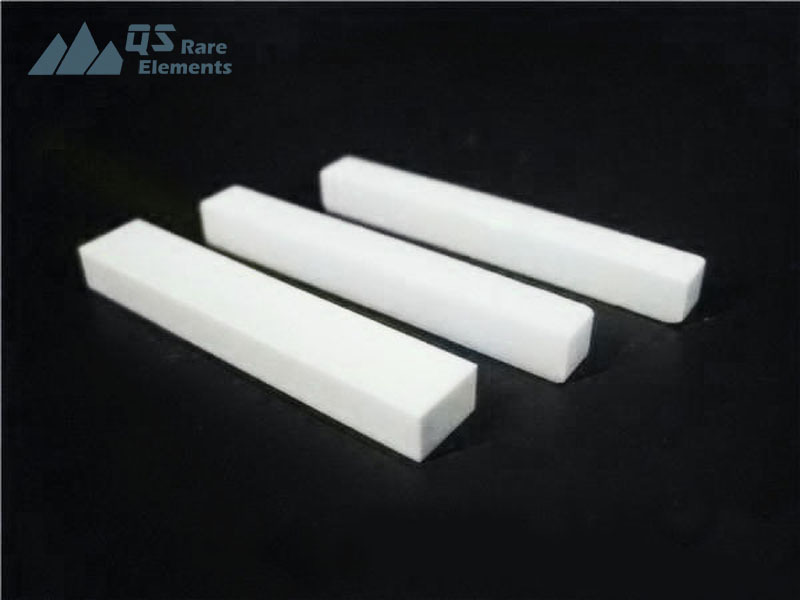 Machinable glass ceramic is a fluorine rich material (KMg3AlSi3O10F2) This is a material with low thermal conductivity. 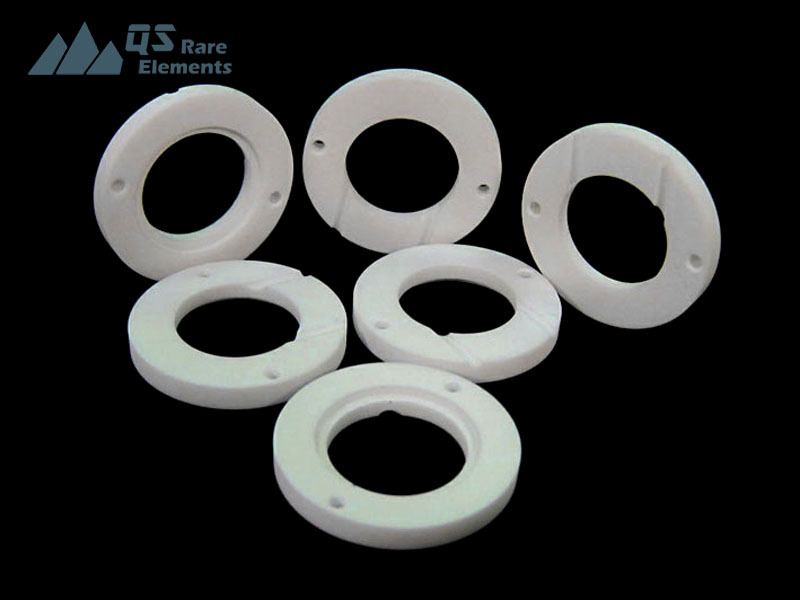 The machinable glass ceramic could be used continuously at temperature of about 800 degree C. Like most of other ceramics, the machinable glass is also an insulator for electric. Since this material is machinable by normal tools, it is easy to be machined into any shape including rods, tubes and parts on other equipment. Due to the special manufacturing process machinable glass has, it is generally considered as zero porosity (pore free) and the thermal conductivity is low. It also has great thermal shock resistance, due to the glass-ceramic structure. 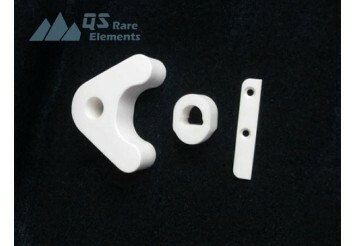 Typical density of machinable glass is 2.5g/cm3, which is significantly lower than alumina and zirconia. It could be used in high vacuum environment, such as laser equipment, semiconductor industries and other electronic industries. Due to the resistance to high temperature, the machinable glass material could be also used to make parts for aerospace applications. 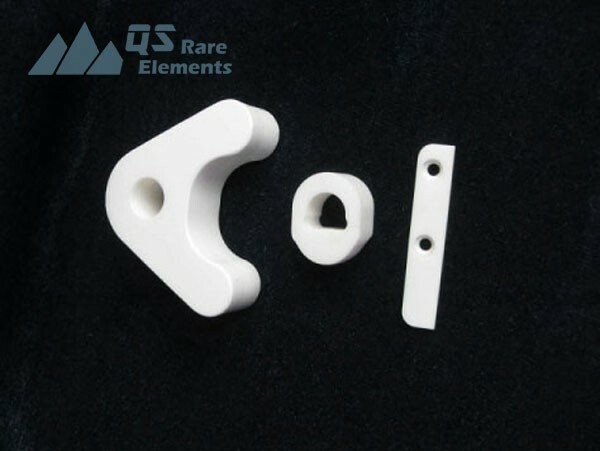 As a profession supplier of advanced ceramics, QS Rare Elements also provide custom machined parts and shapes made by machinable glass material and boron nitride as well. Marco is the trade mark of Corning’s machinable glass-ceramic material. The default machinable glass we use has very similar properties with Marco but it’s not the Marco machinable galss ceramic from Corning.